We're excited to be featured in Lufthansa Airline's magazine article A village in Manhattan. Read about why Harlem is so alluring — even to international travelers! 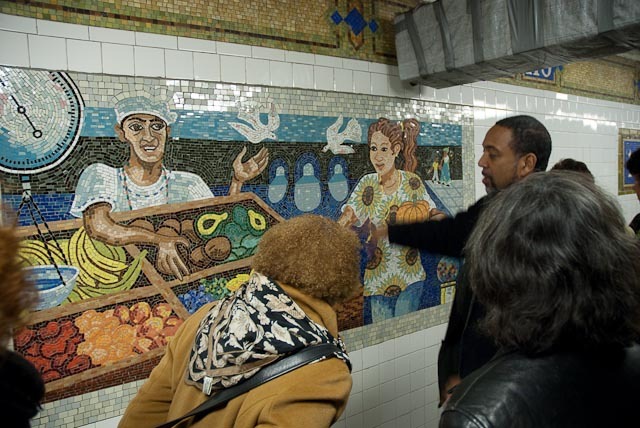 Get insights about Harlem from Taste Harlem founder Jacqueline Orange and historical tour guide, architect John Reddick. "Taste Harlem Food and Cultural Tours: Participants can sample the cuisines of the Caribbean, Africa and Italy that make Harlem the “Gumbo of Soul.” Along the way they experience the varied culture and architecture that define Harlem’s ongoing renaissance." "For most visitors to New York City, the city worth visiting stops north of central park. They have no idea what they are missing unless they cross 96th street. Harlem is an unique part of the city with fascinating history, architecture, and music as well as a mix of cultures and definitively interesting eateries. 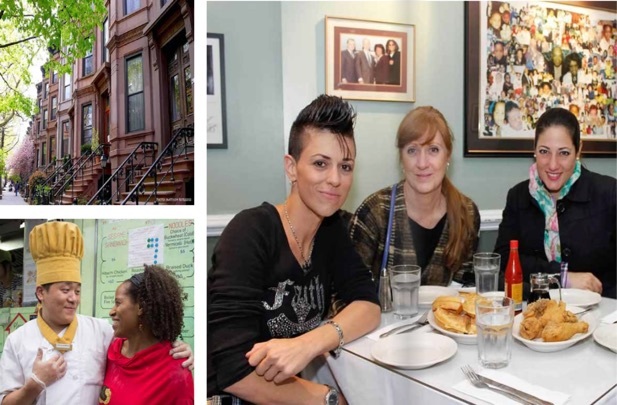 Taste Harlem walking tours will allow you to discover restaurants that range from classy places with white linen tablecloths to greasy spoons with delicious, finger-licking ethnic delights." Translation: Where to eat in East Harlem? Art and gastro in El Barrio "You can visit without problem on your own. With local guides like those offered Taste Harlem, which will make a tour of the most interesting local as you tell your story and neighbors know that carry 70 years living in the same block, in the same house and resist being driven by New Yorkers who come up with more money looking for more space: they buy houses, throwing their former inhabitants and prices rise." "We’re having a great time in New York. First, there’s the New York Times Travel Show, with seminars and booths from all over the world. Lots of ideas. But that takes a back seat to the real glory-story of the city-so-nice-they-named-it-twice: the food. I took my niece on a great food tour yesterday with our guide, Jacqueline Orange." "This is much more than window dressing. A cadre of local artists commissioned to help make Harlem a destination for bedazzling holiday storefront displays will unveil their handiworks this month at eight eateries and shops including The Cecil, Land Yoga and Vinateria." "It's the story of Harlem told through a time-traveling boy and his horse. A series of holiday storefront window displays will take shoppers and tourists through the different eras of the neighborhood, telling a story at each business." "A satisfying way to get to know a neighbourhood is to eat your way through it. On the Journal’s recent food trip to New York, organized through Newwest Travel, our group strolled three memorable areas — Harlem, the Lower East Side and Soho/Little Italy — with food tour guide Addie Tomei of Savory Sojourns." "Since 2007, Jacqueline Orange has been the founder, owner and operator of Taste of Harlem, introducing visitors and New Yorkers alike to the culinary delights, lively art scene and rich history and architecture of Harlem. A major bank merger in 2005 took Orange away from corporate life and inspired her to step away from a desk job and pursue a dream of owning and operating her own tour company." "Nem vagyok híve a csoportos, idegenvezetős túráknak, különösen, ha azokat 40 fős buszokban bonyolítják le. De nem minden vezetett séta unalmas vagy közhelyes, kis kutakodással olyanokra is rá lehet bukkanni, amelyek valami egyedit, különlegeset nyújtanak. Több mint egy tucatszor jártam már New Yorkban, sőt két évig ott is éltem ösztöndíjasként, az alábbi három sétán mégis rengeteg újat tanultam."